Thank you for making the 2019 AHR Expo an overwhelming success! 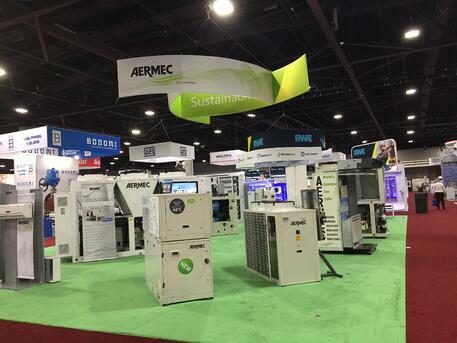 The Aermec Team would like to say thank you for visiting us at the AHR Expo in Atlanta from January 14-16, 2019. We were able to connect with a variety industry professionals from across the globe! Luigi Rossettini, International Sales Director at Aermec S.p.A., discussed our new high temperature heat pump series the WWB water to water booster at the AHR Expo Educational Seminar on Tuesday January 15. WWB units can operate in heating only mode and are used to increase the outlet water temperature produced by a conventional heat pump up to a temperature of 176°F. This product feature allows the unit to be used in all applications demanding high water temperature. 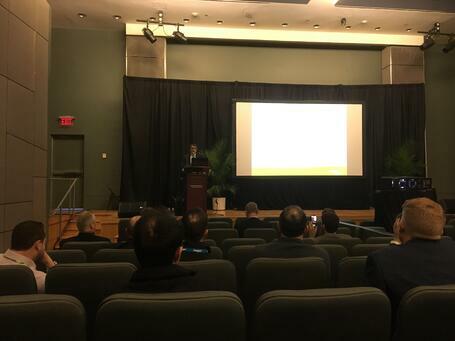 You can watch his presentation at the AHR Expo here titled WWB by Luigi Rossettini at AHR! To learn more about our products download our new 2019 Product Catalogue! Thank you for attending the AHR Expo! See you next year in Orlando, February 3-5, 2020!